How much is Eddie Judge Worth? 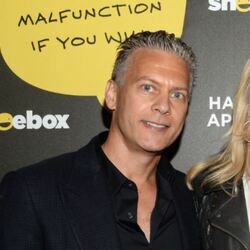 Eddie Judge net worth: Eddie Judge is an American reality TV star and lawyer who has a net worth of $800 thousand dollars. Eddie Judge became a household name when he began dating one of the main cast members of The Real Housewives of Orange County, Tamra Barney. Ms. Barney has been with The Real Housewives of Orange County for several seasons, and the show followed the dissolution of her marriage throughout seasons 4 and 5. She finalized her divorce from now ex-husband, Simon Barney, in the fall of 2011. Eddie Judge and Tamra Barney were married in a widely televised, multi-episode housewives-televised event in September of 2013. When he met Tamra, Eddie was managing the Judge Law Firm in Irvine, California. He worked for his adoptive father, attorney James Judge, who is the founder and managing partner of the firm. The Judge Law Firm focused most of their services on representing homeowners associations (HOAs) in suits against members of the HOA for failure to pay HOA fees. He eventually left his job with the law firm and is now a founding partner and co-owner of the gym, C.U.T. Fitness, with Tamra. 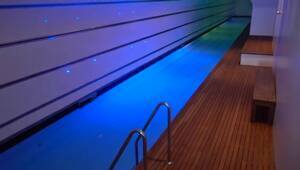 The gym is based in Rancho Santa Margarita, California and the couple celebrated its grand opening in February 2013. In October of 2013, the couple announced that they were planning to expand their business to another Orange County location. The couple also starred in the spin-off reality TV series Tamra's OC Wedding on Bravo in 2013. Season 12 of The Real Housewives of Orange County began airing in 2017.